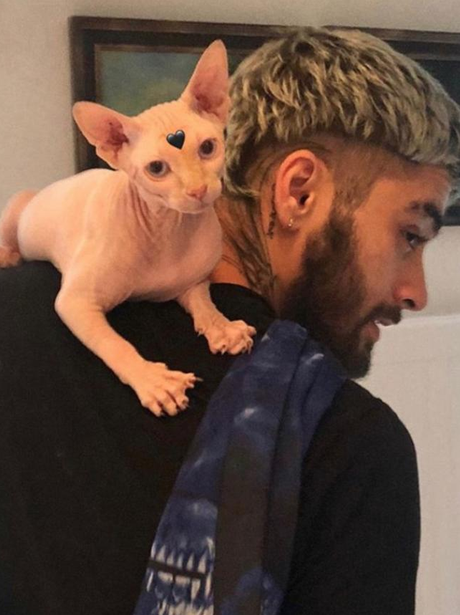 Zayn Malik and Yolanda Hadid's....cat? 6. Zayn Malik and Yolanda Hadid's....cat? It's a cat, we promise- and it belongs to Gigi's mum, who looks like he is BFF's with the singer!